Repeated cells and identical rows often seep into Excel worksheets unnoticed. 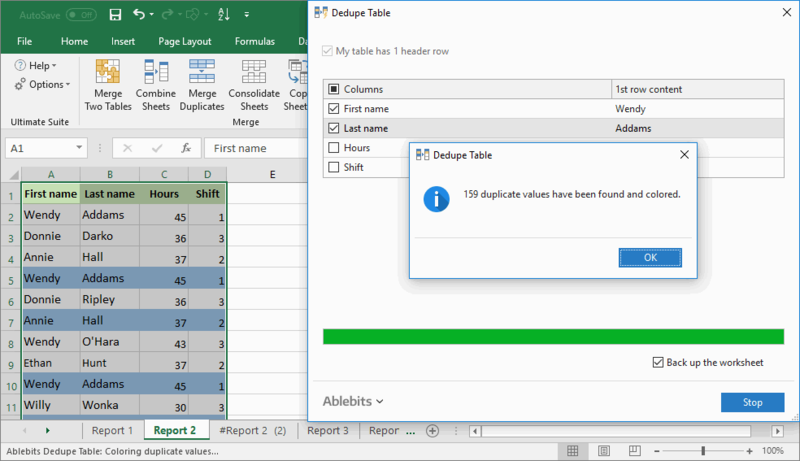 Please meet Quick Dedupe, your one-step way to find, show and remove duplicates in Excel. It can not only eliminate dupes in no time, but also select repeats or highlight with color, identify in a status column, copy or move wherever you want. Delete all repeated cells in a list Detect and remove duplicates in a column with a single click. 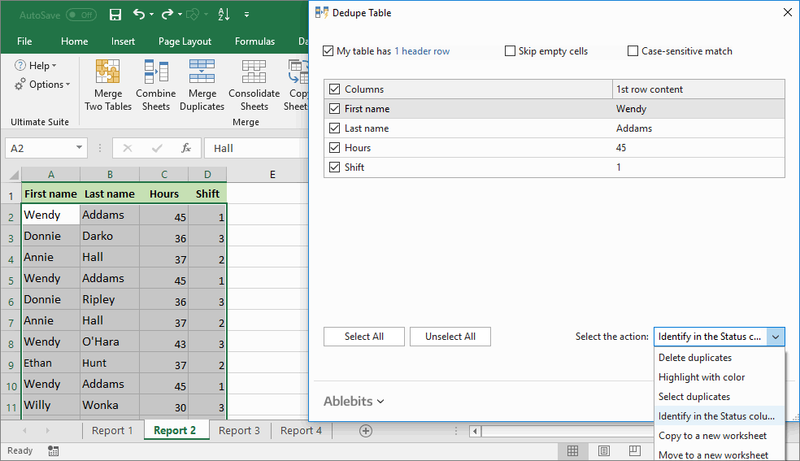 Find and remove duplicate rows Eliminate duplicate rows based on one or more columns that you select. Show duplicates in Excel Select or color the same values to see all the repeats at a glance. 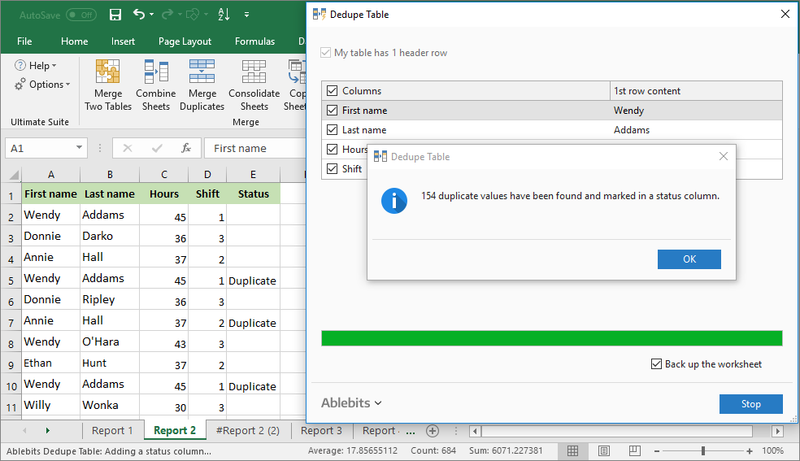 Identify, copy or move dupes Insert a status column that marks duplicate rows, move or copy dupes to another file. What is Quick Dedupe for Excel and what do I need it for? Quick Dedupe for Excel is a one-step tool to check your worksheets for the same data. It can remove duplicates, select or shade them with color, identify repeats in a status column, copy or move to another workbook or worksheet. How does Quick Dedupe differ from the inbuilt Remove Duplicates feature? 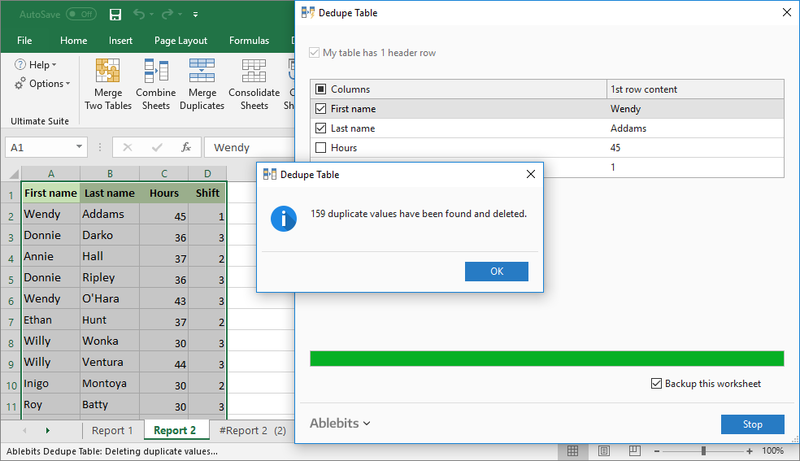 Excel's Remove Duplicates only deletes duplicates and can do nothing more. The Quick Dedupe tool will also help you promptly get rid of all repeated entries. In addition, it can select or shade dupes with color, identify in a status column, copy or move. No formulas, no conditional formatting rules, no waste of time. What is the fastest way to dedupe Excel table? Select the key columns you want to check for dupes. If needed, tick the Create a backup copy of the worksheet checkbox to get a copy of your original table. 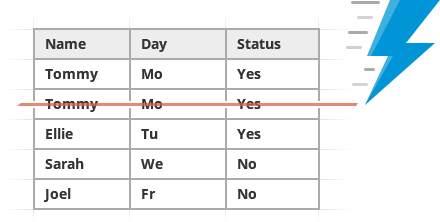 How can I identify duplicate rows in my table? Just select one or more key columns to check for duplicates, and get duplicate rows eliminated, selected, highlighted, or marked in a status column as "Duplicate". Can I copy duplicate records somewhere instead of removing them altogether? Absolutely yes. If you'd like to have a closer look at the duplicate entries later, just choose to copy the dupes to a new worksheet.